You know them by seeing their funny commercials on TV, and these two search engines are a couple of the most popular discount travel search engines. They tend to exclusively offer a regular torrent of airline, car rental, and hotel ‘hot deals’ offered only from them alone, but listed for comparison will be each airline’s published fares. Southwest fares will not be included. Orbitz is unique because it gives Web-only fares from its five founders: United, American, Northwest, Delta and Continental. It does not include listings from Southwest, so if you want a fare from them, you will have to visit their website. These two are smaller sites that have lower airfares from time to time but you may be limited to deals on certain routes, so if you live in a smaller area that few Airlines fly, its best to stick to the bigger search engines. For example, San Luis Obispo, California is a small regional airport that only services American Airlines and United Airlines, so using one of these two website’s would not necessarily be as successful as using one of the websites listed above. The reputations of Southwest, American Trans Air, and JetBlue pronounce they are less expensive, and in most cases this is true! They often offer lower prices than their Titan competitors, and seemingly are not usually listed on the major travel search engines listed above. It would be worth your time to check their sites individually as most of their competitors are now charging for all checked baggage while these may not. One thing to consider is that these Airlines may not service the airport you want to depart from, or fly to; however, you never know until you look so check them out when shopping for your tickets. Sometimes going directly to the site of the Airline of choice can prove profitable. Most Airlines will offer special deals directly from their website to compete with the several travel search engines there are today. By going directly to the source, you cut out the middleman. 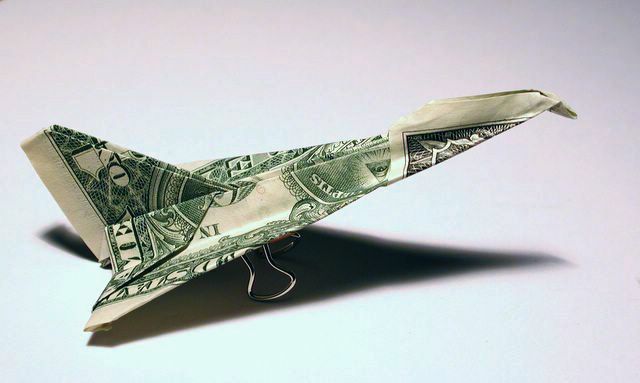 The search engines get a cut for the sale of your ticket, so by going directly to the source the whole purchase price goes to the airline, which depending on how you look at it, may or may not be a good thing... you decide! Sign up for discount alerts! Many Airlines, as well as popular search engines such as Orbitz, Expedia, and Travelocity offer email sign up's to be notified about discounts on specific routes and dates. It would be worth getting a few extra advertising emails in your inbox because you never know when you are going to need to get away, these alerts can save you money in the long run!